Salt Lake Buddhist Fellowship’s Sensei is, Christopher “Kakuyo” Leibow, a lay-minister with the Bright Dawn Center for Oneness Buddhism. Bright Dawn’s ministry program is led by Rev. Koyo Kubose, son and dharma heir of Ven. Gyomay Kubose, a pioneer in American Buddhism. In 1944, not long after he and his family left the Heart Mountain Internment Camp where they were interred during World War II, Gyomay Kubose founded what would become the Buddhist Temple of Chicago. The temple is still in operation 66 years later. Ven. Kubose trained in both Jodo Shin Shu and Zen Buddhism. However, during a talk commemorating the temple’s 30th anniversary, he expressed his dream to establish a “uniquely American Buddhism that could be easily understood and practiced by Americans and that would contribute to American life and culture.” This Buddhism could be explained in simple, everyday language and practiced in everyday life, yet would be an authentic, non-dualistic and nonsectarian Buddhist way to create “a peaceful, meaningful, creative life, both individually and collectively.” Here is some background. Rev. Koyo Kubose and the Kubose family established the Bright Dawn Institute to carry forward that mission. While Bright Dawn’s “Way of Oneness” approach to Buddhism is rooted in the Japanese Mahayana tradition, the organization emphasizes the universal teachings of the historical Gautama Buddha, focusing on individual spiritual growth rather than any sectarian dogma or ritual. The Way of Oneness is one of the most basic Buddhist principles and pervades all Buddhist thought. Rooted in the original teachings of Gautama Buddha, this presentation of the Way of Oneness has its origins in the Japanese Mahayana tradition. This open, eclectic approach concentrates on individual spiritual growth rather than on any particular sectarian dogma. This is our emphasis because we believe that it will also make sense to those who may not come from a culture with Buddhist philosophy already ingrained. The Way of Oneness is the non-dual, non-dichotomized method of every day spiritual awareness focusing on the universal teachings of the Buddha. It is togetherness with the Suchness of Life. Transcending all labels and concepts. Beyond ego and self-calculations. Bright Dawn’s interpretation of the Way of Oneness. The lineage represents a rich tradition of historic and modern thinkers who taught the Dharma in a language and style accessible to all. The Way of Oneness is based upon consistent descriptions by Rev. Gyomay Kubose’s approach of emphasizing non-dualism and non-dichotomy of life, focusing on the Universal Life that underlies each person’s individual life. This presentation and particular emphasis are unique to Bright Dawn Center’s approach to Buddhism and spirituality. The Way of Oneness was developed as a uniquely American Buddhist approach to everyday spiritual life. The Bright Dawn Lineage has its origins in the Japanese Mahayana tradition. Specifically the Zen and Jōdo Shinshū traditions of Japanese Buddhism. Jōdo Shinshū, a distinctly Japanese denomination of Buddhism, was revolutionary in its focus on making Buddhism available to all people. Prior to that in Japan, Buddhism was largely reserved for the highly-educated elite. 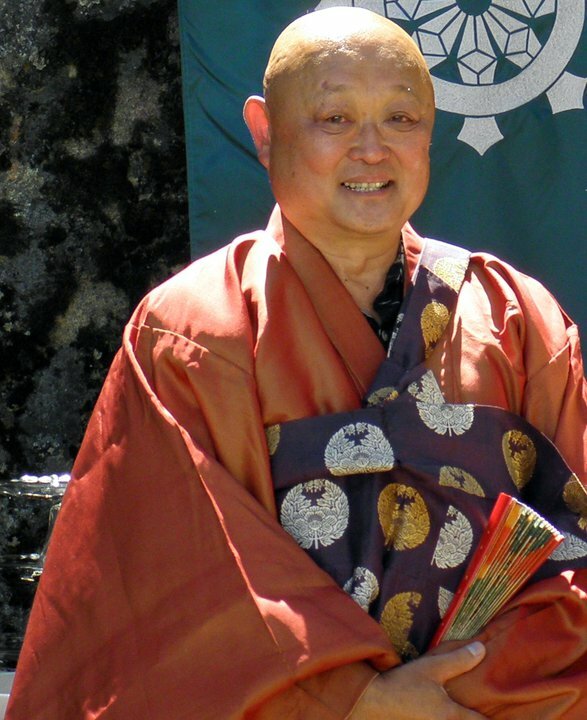 Jōdo Shinshū teaches that the insights of the Dharma are accessible by everyone. 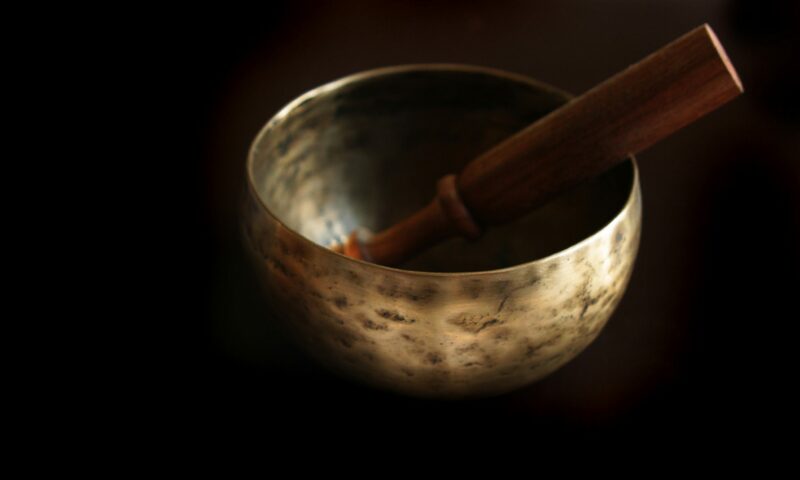 Zen Buddhism has been a part of the Buddhist tradition of many different countries and cultures. Zen focuses on the importance of seeing the world and one’s self as they truly are. One of the methods used when striving to obtain this correct vision is meditation. However, our lineage teachers, although also trained in Zen practice and method, came directly from the Jōdo Shinshū tradition. Jōdo Shinshū (浄土真宗, “True Pure Land School”), also known as Shin Buddhism, is a school of Pure Land Buddhism. It was founded by the former Tendai Japanese monk Shinran. Today, Shin Buddhism is considered the most widely practiced branch of Buddhism in Japan. The Seven Patriarchs of Jōdo Shinshū were seven Buddhist monks who helped to develop Pure Land Buddhism over time. Shinran Shonin (1173-1262), the founder of Jōdo Shinshū Buddhism, established a lineage of Pure Land Buddhist thought that traced all the way to the time of Shakyamuni Buddha. Between the Buddha and Shinran, the Seven Patriarchs each contributed to Pure Land Buddhism at different eras and different regions of the world, as was summarized in the Jōdo Shinshū hymn, the Shoshinge. Shinran also frequently quoted the writings and commentaries of the Patriarchs in his major work, the Kyogyoshinsho. The Honganji Temple (lit. “Temple of the Original Vow”) was founded in 1321 as the head temple of the Jōdō-shinshū (浄土真宗 ; “True Pure Land”) sect of Buddhism. The temple was built next to the mausoleum of Shinran (1173-1262), founder of the sect. Nishi Honganji was established as a temple in 1321.– Higashi Honganji was established in 1602. Higashi Honganji (東本願寺, Higashi Honganji), or, the Eastern Temple of the Original Vow, is one of two dominant sub-sects of Shin Buddhism in Japan and abroad, the other being Nishi Honganji (or, ‘The Western Temple of the Original Vow’). It is also the name of the head temple in Kyoto, a collection of buildings built in 1895 after a fire burned down the previous temple. The largest Higashi Honganji grouping, the Shinshū Otaniha has approximately 5.5 million members, according to statistics. However, within this climate of instability, the Higashi Honganji also produced a significant number of extremely influential thinkers, such as Ryojin Soga, Manshi Kiyozawa, Kaneko Daiei and Haya Akegarasu amongst others. Rev. Manshi Kiyozawa was a Japanese Shin Buddhist reformer of samurai background who studied at Tokyo University in Western philosophy under the American philosopher Ernest Fenollosa. Many Shin scholars feel that Kiyozawa’s viewpoints are comparable to the religious existentialism of Europe. Many Higashi Honganji scholars trace their line of thought to Manshi Kiyozawa, including such men as Haya Akegarasu 1877-1954, Daiei Kaneko 1881-1976, Ryojin Soga 1875-1971 and Shuichi Maida 1906-1967. Some of his essays were translated into English, and have found a Western readership. Rev.Haya Akegarasu was a Shin Buddhist student of Rev.Manshi Kiyozawa for a decade. Akegarasu is a former head of administration of the Higashi Honganji who was a major inspiration to the formation of the Dobokai Movement. 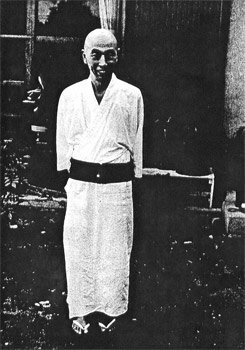 In 1949 Akegarasu focused Shin practice in the direction of faith alone, declaring in a statement to his disciples: “First shinjin, second shinjin, third shinjin.” This is basically the moment where Dobokai became official, although the movement did not receive official recognition until 1962. The early roots of the Dobokai Movement faith movement began in 1947 as the shinjinsha, or, ‘true person community. Although born in America, Rev. Gyomay M. Kubose spent the early part of his life in Japan where he undoubtedly absorbed a heritage rich in Buddhist influence. Returning to America, he attended the University of California at Berkeley, graduating with a degree in Philosophy in 1935. Then he went to Japan and studied under his teacher, Rev. Haya Akegarasu, at his Dai-Nippon Bunkyo-kenkyu-in at Myotatsuji Temple in Ishikawa Prefecture. Accompanying his teacher on lecture tours, he traveled extensively in Japan, Korea, China, and the US. He returned to the US in 1941 just prior to World War II and spent two years in the Heart Mountain Relocation Camp in Wyoming. Then he came to Chicago in 1944 and founded the Buddhist Temple of Chicago. In 1949, he accompanied and interpreted for the Abbot and Lady Kocho Otani of the Higashi Honganji, the Eastern Headquarters of Buddhism in Japan, on their US tour. Over the years he helped establish various organizations affiliated with the Temple; such as Boy Scout Troop 515, later followed by Cub Scouts, Explorer Scouts, and Girl Scouts; a Japanese language school; and in 1955, the American Buddhist Association. In 1966 he went to Japan for three years to do special studies in Buddhism at Otani Buddhist University in Kyoto. On his way home from Japan in 1969, he made a world tour. He visited Buddhist historical places in India, toured southeastern countries, and attended the World Buddhist Conference in Malaysia. He visited the Holy Land in Israel, and also went to Rome, Athens, and other European countries. He started the Buddhist Educational Center in Chicago in 1970, which offers courses in Buddhism and Japanese cultural arts. He also established a meditation group. He has lectured widely throughout North America, Peru and Brazil, and in Japan. Throughout his life, he emphasized and taught non-sectarian Buddhism for all. He passed away in Chicago on March 29, 2000. Rev. Koyo S. Kubose was born in Los Angeles, California. After World War II, he relocated to Chicago with his family. He earned a BA from the University of CA at Berkeley, an MA from San Francisco State University, and a Ph.D. in psychology from the University of Iowa. He has been on the psychology faculties at the University of North Carolina (Greensboro), University of Hawaii (Honolulu), and University of Wisconsin Center System (Janesville). He went to Japan for three years and studied Shin Buddhism at the Eastern Buddhist Society at Otani University. He also did meditation practice under Zen masters Uchiyama Kosho of the Soto tradition and Kobori Nanrei of the Rinzai tradition. Upon his return to the US in 1977, Rev. Koyo worked with his father, the Venerable Rev. 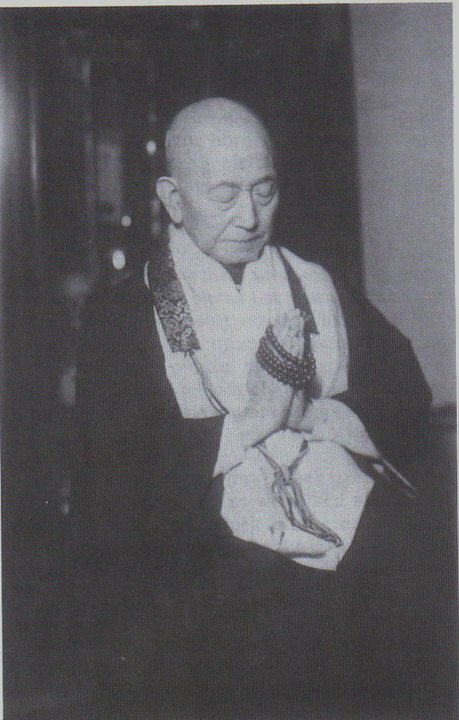 Gyomay Kubose, a pioneer in the Americanization of Buddhism. From 1983 – 1995, Rev. Koyo served as a minister at the Buddhist Temple of Chicago, which his father established in 1944. Currently, Rev. Koyo is president of BRIGHT DAWN: Institute for American Buddhism, which he established in 1996 to carry on his father’s life work. On April 4, 1998, Rev. Gyomay Kubose officially transmitted his spiritual authority to Rev. Koyo Kubose. 1918-1992 was a Japanese Rinzai Roshi and former abbot of Ryōkōin, a sub-temple of Daitoku-ji in Kyoto, Japan.